MOSCOT have a vast history behind them. In 1899 Hyman Moscot began selling eyeglasses from a street cart – having arrived in America from Eastern Europe, he made his way by selling his ready-made eyeglasses. From then on, he began to develop a following of loyal customers and was able to set up shop at 94 Rivington Street, New York. This was the beginning of an eyewear brand that would be passed down the generations. Fourth generation Moscot, Dr Harvey, really pushed the company forward in 1986 when he founded the charity MOSCOT Mobileyes, which seeks to eliminate the barrier that prevents those in need from receiving quality medical eyewear. And now, current Chief Design Officer, Zack Moscot, who joined the family business in 2013, works to create quality on-trend eyewear for their customers across the world. Despite being an international fashion eyewear brand, MOSCOT holds its roots dear to its heart and focuses on its family and neighbourhood values. 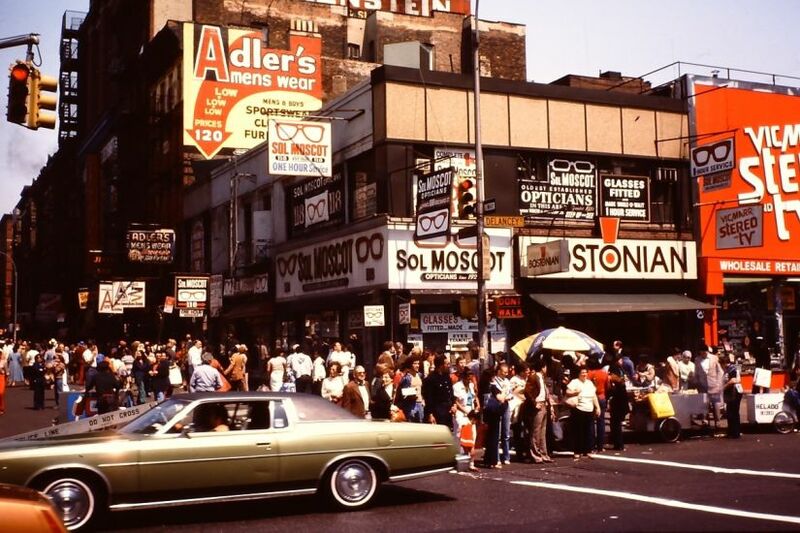 With its rich history and loyal customers, MOSCOT values its heritage and has held on to a spot on Orchard Street, New York since 1925. MOSCOT’s strong neighbourhood values are what really makes it stand out as a brand. The level of care that goes into each handmade frame reflects their passion for creating personal, high quality glasses just as they would have done for their very first customers all those years ago. MOSCOT is incredibly selective in who it collaborates with; as a family brand they strive to work with and support other family brands, which is why we at Leightons are so proud to have the opportunity to offer them to our customers. MOSCOT eyewear is all handmade, designed and prototyped in New York City. MOSCOT use the highest quality materials in their frames, and the hinges are riveted through the temple and frame fronts to make sure every pair is as sturdy as possible. MOSCOT really care about their customers and will only provide them with the highest quality frames possible. That is why, before dispensing, every single pair of frames is quality inspected in New York City before being sent out. MOSCOT’s signature style is heavily 1930s inspired – they love and respect the classic design which is reflected in their frames. MOSCOT creates quirky, timeless eyewear with many of their frames featuring the classic keyhole bridge that not only provides better comfort and support but also makes for a bold, on-trend look. From one family to another, Leightons love MOSCOT. Here are some of the reasons why we love them, and why you should too! As a fifth generation, family run business, they complement our own family heritage. 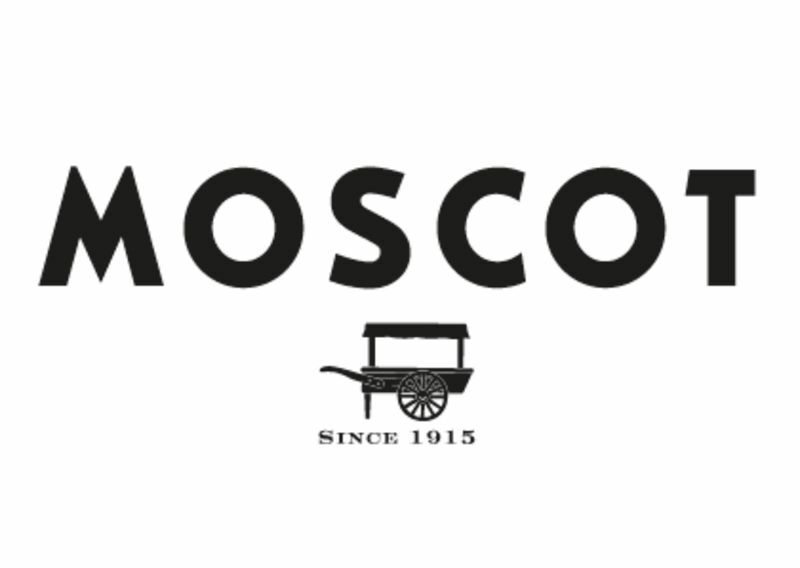 Though an internationally recognised fashion brand, MOSCOT remain loyal to their neighbourhood values. They celebrate classic and timeless design plucked from the family archives from the 1930s-1980s. Each MOSCOT frame is handcrafted with over 130 steps in the process. They provide unparalleled craftsmanship and expertise in design. Why not visit us to try on a classic pair of MOSCOT glasses? The brands have proven themselves globally popular with their rich heritage and design, so make sure you come and take a look. Our fully-qualified dispensing opticians can help to find the perfect pair for you. If you feel you may need a new prescription before purchasing a new pair of glasses, you can book an appointment online or call us on 0800 40 20 20.